From the freezing Arctic Circle to the dust and heat of Dubai, the Jaguar E-PACE has been subjected to diverse testing programmes, ensuring it is not only a driver’s car but a dynamic and entertaining performance SUV too. Jaguar unleashed hell* and high water** to ensure that E-PACE worked on all surfaces and in all weathers. More than 150 prototypes were built during a gruelling 25-month test programme which took place across four continents to ensure not only extreme durability but that the vehicle lives up to the Art of Performance philosophy. From the demanding Nürburgring circuit and high-speed Nardò test track to the deserts of the Middle East, E-PACE has proved itself in the world’s most challenging environments. Jaguar’s engineers braved the -40C temperature of the Arctic Circle and the high altitudes and rivers of China’s most remote provinces to ensure E-PACE can withstand a lifetime of use in the hands of the most active and demanding customers. 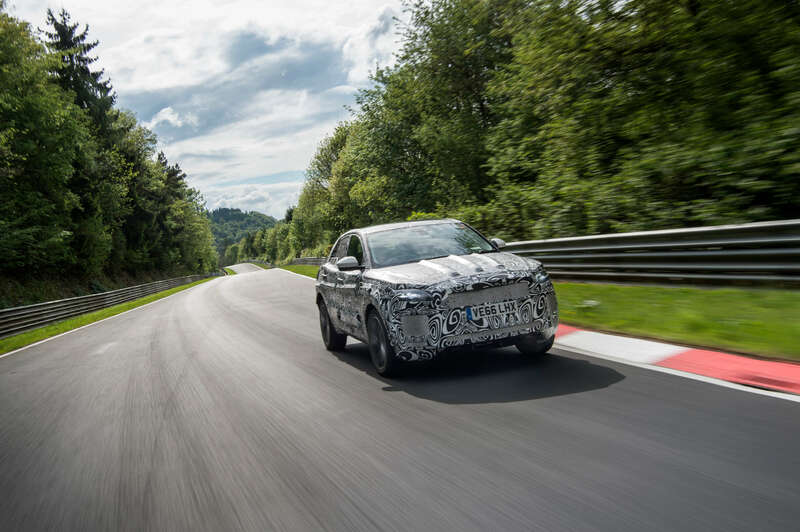 Jaguar’s new compact performance SUV will face its final test in a world premiere that will be aired on Facebook and YouTube on Thursday 13 July. Jaguar will demonstrate the E-PACE’s combination of agility and true Jaguar performance, as well as how entertaining it is to drive.